So I decided to use the scraps and turn it into a wallet kinda card filled with lots of tags. Don't you love how this looks so romantic? I used the fabulous papers from the Kaisercraft Tea Break Collection. The corners are accented with a corner die from JoyCrafts. I love how die-cuts elevate the project to a totally different level. I then accented the front with a handmade lace flower and some mulberry flowers and leaves. You can find a whole variety of mulberry flowers and beautiful decorative accents at Craftslane. I am entering this card for the Kraft Zone Challenge#1 - Bag with a tag. beautiful card..... nice idea. love the die too. soo romantic ujjwal. 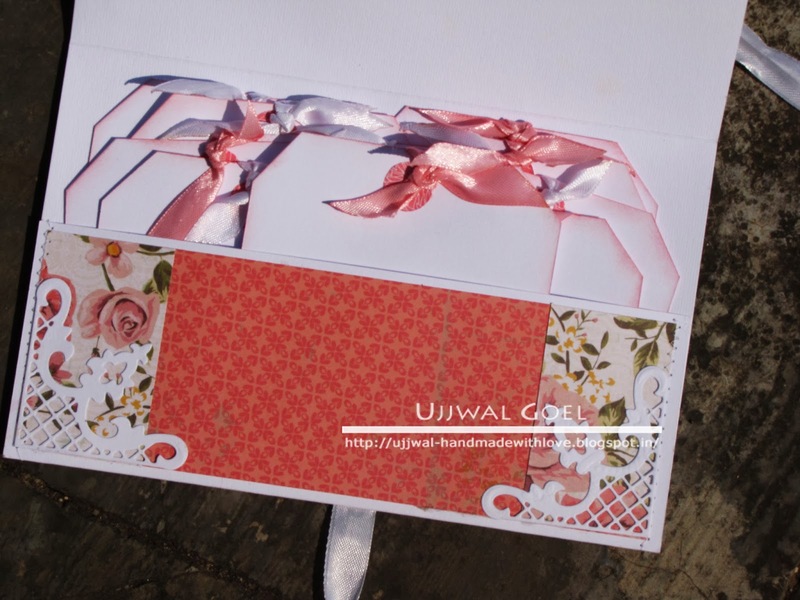 beautiful wallet card Ujjwal...loved the pink and romantic feel to it! 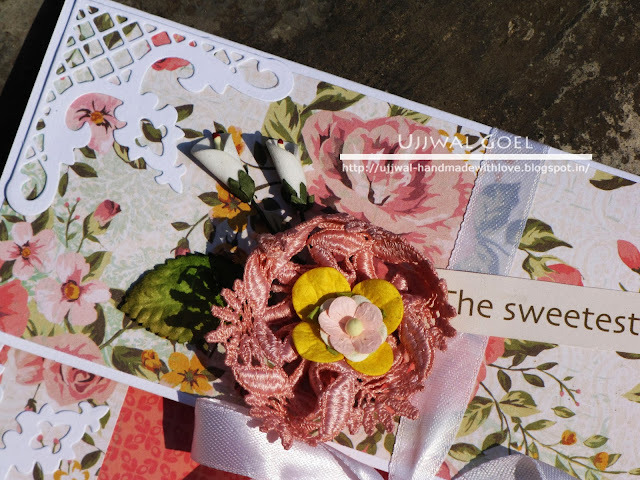 so feminine and girlie and a lovely thought to sew up the pocket! Wow...its very pretty.....I loved that lace flower going very well with that pp..and white die cuts and ribbons.highlighting it...thank you for playing along..all the very best. Love the design on this...sooooo pretty! MDF Family Frame on the wall !